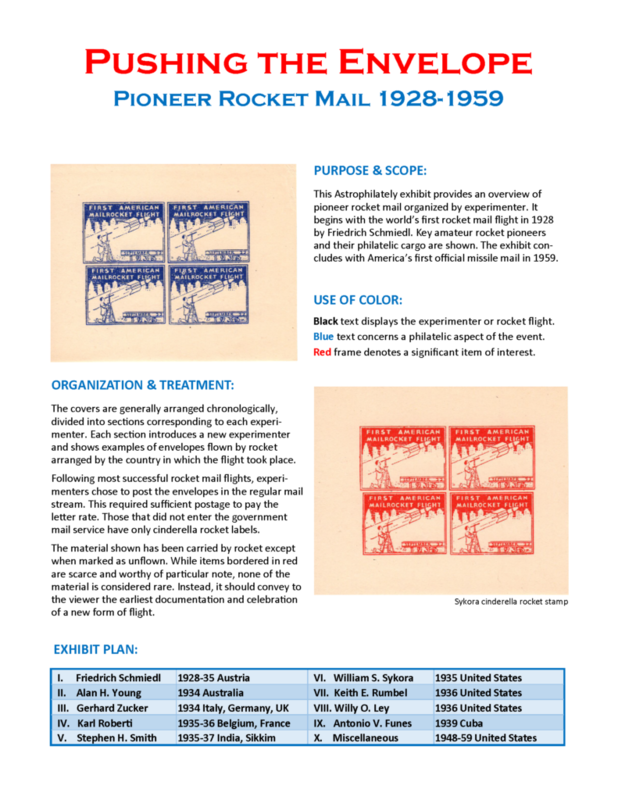 This Astrophilately exhibit provides an overview of pioneer rocketmail organized by experimenter . It begins with the world’s first rocketmail flight in 1928 by Friedrich Schmiedl. Key amateur rocket pioneers and their philatelic cargo are shown. The exhibit concludes with America’s first official missile mail in 1959.